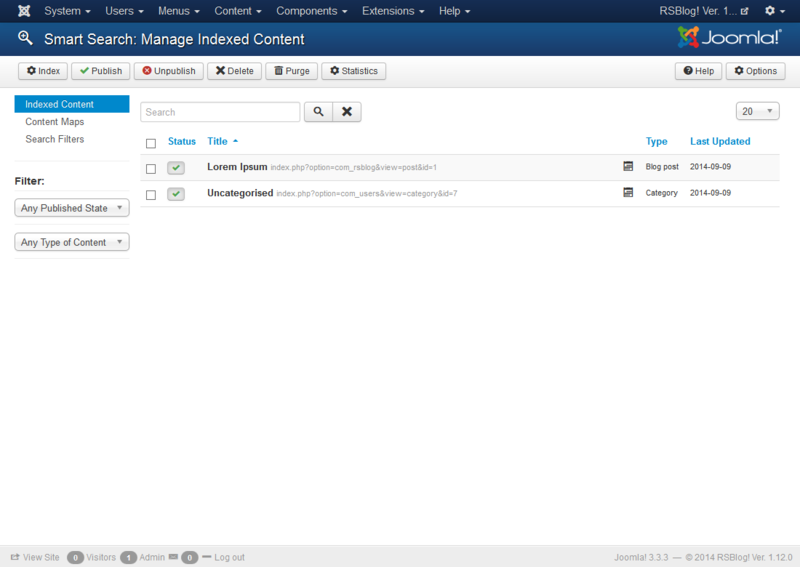 The Smart Search Plungin offers a simple integration with Joomla! 's default Smart Search Feature. All you need to do is install the plugin, enable it and run the Smart Search Indexer (the process is explained in the article linked in this paragraph). No configuration options are available. All you need to do is publish the plugin after installing it for the integration to work. Remember to run the Smart Search indexer after publishing the plugin.